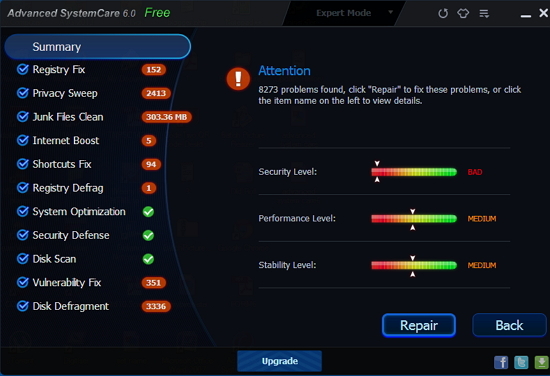 ASC (Advanced System Care) is #1 tool to optimize your computer. ASC includes plenty of useful tools like Registry fix, Malware cleaner, Internet booster and more. ASC has nearly 150 million users across world. 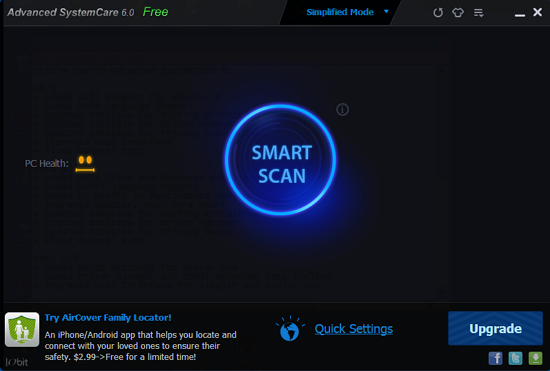 Recently ASC 6 Pro released has enormous features, and now Iobit released Advanced System Care v 6.0 Free version. ASC 6 add new improved user interface and useful features. You can upgrade to the PRO version for more functionality like deeper cleansing, anti-malware support, automatic updates, no adverts and much more.